Born and raised in Coolidge, Arizona, Adrian accredits his first dance lessons to hours in front of MTV as a kid. In high school he took his passion public, becoming Harvey Da Bear, the school’s dancing mascot. He attended Arizona State University and received his Bachelors of Interdisciplinary Studies with concentrations in Kinesiology and Dance, all while dancing with the ASU Hip Hop Coalition and Nebellen Dance Company. Adrian has also danced for F2 and the Phoenix Mercury Hip Hop Squad. 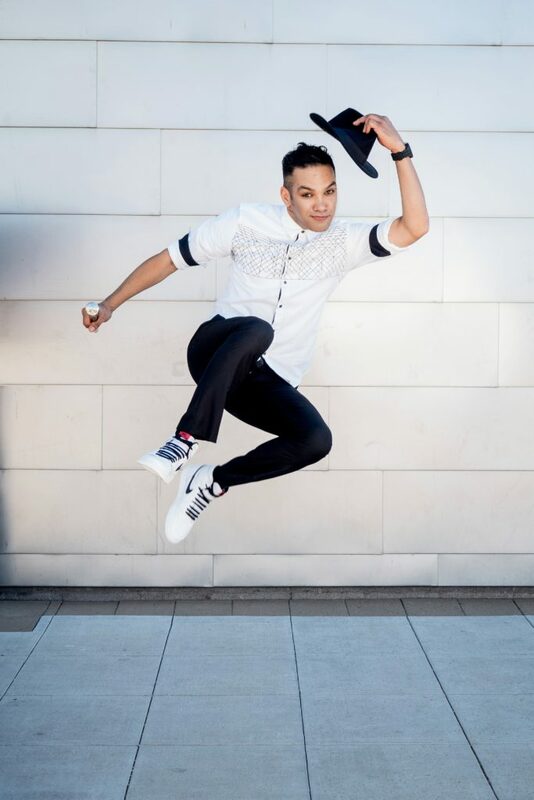 Now dancing with EPIK, Adrian teaches, and has instructed various hip hop, cardio fitness classes and workshops around the Valley, and even returned to his former high school as a guest artist. Adrian has also become part of the Be Kind Crew, showing kids the importance of being kind to each other.